At ileava jewelry, it is our mission to help and guide you to find your perfect ring you and your partner will forever treasure. From simple designs to unique designs that reflect your personality, to a ring which can be perfectly stacked with your engagement ring, to a design men can wear comfortably, whatever you're looking for, we can assist you to bring your 'ideal' ring to life. You have an option to choose from our great selection of bridal rings and personalizing it by adding your own finishing touches–from adding diamonds to selecting the width and the metal–we can customize any of our pieces. If you can't find your perfect ring from our selection, we can assist you to make a custom-made, one-of-a-kind, wedding bands specially made for you and your partner. Is it time to turn to the next chapter in your life with a bride in your dream? Engagement ring is a symbol of love, expressing your dedication to the significant other. Don't know where to find a ring in Japan? Does she have specific preferences? Are you looking for a meaningful ring? Finding that perfect ring can be overwhelming. Let us help you take a load off and support you finding one. At ileava jewelry, we believe that there are no real rules to finding your perfect engagement ring. Traditional or non-traditional, everyone is different and we believe that everyone should be wearing something that reflects their personality. If you have been searching for that perfect ring and can't seem to find the one, or don't exactly know what you want, let us guide you through. From simple to unique alternative styles, at ileava, we have a great selection of engagement rings to choose from. ileava's wedding rings are made at the studio in a store located in the central Tokyo, Omote-sando/ Harajuku, known for the major shopping district from young fashion to boutiques to high-end luxury brands. At ileava, we suggest everyone to try on as many different rings as possible–including other brands. Comparing and contrasting to see what style suits you the most is important. 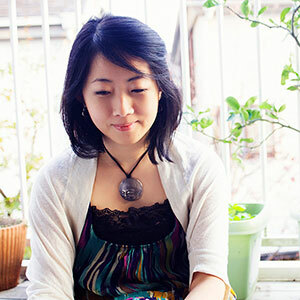 Born in Tokyo, raised in California and Tokyo, Maya has a multi-cultural background. Maya always had a passion for making things with her own hands since she was very young. Long before Maya started making jewelry, she somehow knew that one day, she was going to make her own wedding ring that expressed and reflected her style. Due to this, there is a great selection of rings to choose from ileava's brial collection. Maya's designs incorporate everyday influences, dreams and childhood memories that are mixed into miniature sculptures for everyone to wear. "Jewelry is meant to be worn at all times. I wanted to make special pieces for everyone. It doesn't necessarily have to mean anything to anyone else, as long as it has a special meaning to you." Her designs incorporate inspirations she has had achieved from living in both countries. Rings from ileava's bridal collection are made-to-order, which means they are made individually for you. We have a great selection of sample rings to choose from which can be customized by selecting the metal, the width, etc., and also consult us with diamonds or any gemstones you would like to incorporate. If you can't find your perfect ring from our selection, we can assist you in making a custom made, one-of-a-kind, ring. Book an appointment with us and Maya will help you bring your ideas together by hand sketching during a one-on-one consultation. Do you wish to propose with a meaningful ring to someone special? Do you prefer a ring different from others? Looking for a one-of-a-kind pair ring? Visit us at the store in Omote-sando/Jingumae!